Since Health Impact News started the MedicalKidnap.com website in late 2014, we have reported on numerous stories where children are taken away from loving families simply because evidence was found of broken bones or other skeletal trauma. More and more research is coming out showing that other medical conditions can cause this trauma besides “shaken baby syndrome,” and it is not necessarily a sign of child abuse. Some of these children have specific genetic markers that make them more prone to these types of injuries, such as Ehlers-Danlos Syndrome and Osteogenesis Imperfecta. These types of genetic disorders are said to be “inherited,” but their rise in incidence leads an honest person to seek other causes besides genetics, as the whole field of epigenetics has shown us in recent years that genetic changes can occur due to external and environmental factors as well. Since the rise of these genetic disorders also coincides with the increase of vaccines being added to the infant vaccine schedule, I asked Christina England to research this issue and give me a report. Her findings are reported below. The U.S. National Vaccine Injury Compensation Program pays out many millions of dollars to individuals and families who have suffered vaccine injuries and deaths. Yet research as to why certain children are more susceptible to vaccine adverse reactions is never carried out. Instead, state lawmakers all across the U.S. are attempting to remove vaccine exemptions in a one-size-fits-all approach to public vaccination policy. With pharmaceutical companies enjoying legal immunity from producing dangerous vaccines, where is the motivation to research and develop safer vaccines? What will it take to slow down the rapidly increasing pace of developing new vaccines, and spend some time and research on making existing vaccines better? How many more children must be sacrificed for the “greater good”? Perhaps it is time for Congress to re-consider the appropriateness of the National Vaccine Injury Compensation Program which gives pharmaceutical companies a liability-free market for vaccines, and no incentive to make those vaccines safer. The U.S. ranks near the bottom of most childhood health categories among wealthy nations, and leads those nations in the number of vaccines in the childhood vaccine schedule. Could Vaccinations Be Responsible for Altering Our Genes? In recent years, doctors have seen a rise in the number of children suffering from genetic conditions such as Ehlers-Danlos Syndrome and Osteogenesis Imperfecta. This has caused many to question whether or not the rising number of vaccinations could be to blame. While to the majority of us this sounds more like science fiction than reality, others have embraced this possibility as both of these conditions are connected with gene mutation which has been linked to vaccinations. Another worrying factor is the fact that a growing number of parents have reported that their child was fit and healthy prior to receiving their vaccinations and that they have only developed these conditions after being vaccinated. Classic Ehlers-Danlos syndrome (EDS) is a heritable connective tissue disorder characterized by skin hyperextensibility (skin that can be stretched much more than normal skin), fragile and soft skin, delayed wound healing with formation of atrophic scars, easy bruising, and generalized joint hypermobility (sometimes referred to as being double-jointed). According to the website Genetics Home Reference – Your Guide to Understanding Genetic Conditions, certain mutations in the ADAMTS2, COL1A1, COL1A2, COL3A1, COL5A1, COL5A2, PLOD1, and TNXB genes are responsible for causing Ehlers-Danlos syndrome. Some of these genes (COL1A1, COL1A2, COL3A1, COL5A1, and COL5A2) provide instructions for making proteins that are used to assemble different types of collagen. Collagens are molecules that give structure and strength to connective tissues throughout the body. Other genes (ADAMTS2, PLOD1, and TNXB) provide instructions for making proteins that process or interact with collagen. Mutations that cause the different forms of Ehlers-Danlos syndrome disrupt the structure, production, or processing of collagen, preventing these molecules from being assembled properly. These defects weaken connective tissues in the skin, bones, and other parts of the body, resulting in the characteristic features of this condition. Osteogenesis Imperfecta is a genetic disorder causing the bones to break very easily because genetic defects prevents the body from producing strong, healthy bones. Gene mutation is also responsible for the genetic condition Osteogenesis Imperfecta, which is sometimes referred to as brittle bones syndrome. Mutations in the COL1A1, COL1A2, CRTAP, and P3H1 genes cause Osteogenesis Imperfecta. Mutations in the COL1A1 and COL1A2 genes are responsible for more than 90 percent of all cases of Osteogenesis Imperfecta. These genes provide instructions for making proteins that are used to assemble type I collagen. This type of collagen is the most abundant protein in bone, skin, and other connective tissues that provide structure and strength to the body. Mr. Lloyd W. Phillips believes that this is exactly what is happening. In a study titled Four Year Study and Analysis of Adverse Reactions to the Gardasil HPV Vaccine, published by Americans Disabled by Vaccines, he explained that when children with the genetic marker for EDS were vaccinated with the HPV vaccine Gardasil, many of them developed full-blown EDS. Hypermobility, a symptom of Ehlers-Danlos Syndrome – Type 3, was observed in the majority of our study group. It should be further noted that follow-up questioning of some of the families who originally reported that their daughter did not have obvious signs of Hypermobility, now stated that siblings of the vaccine-affected child did show signs of Ehlers-Danlos in the form of Hypermobility. 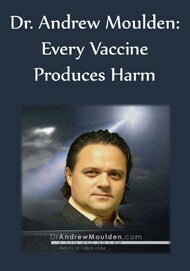 A Frenchman by the name of Ramon noticed that if you gave an aluminum containing vaccine to a horse that had an infection, it made the immune system produce a an unpredictably high amount of antibodies. Unfortunately for ancestors of many Irish, Swedes, Scotts, English, French, Danes, and other Northern and Western European ancestry, people with certain genetic mutations can harbor many more pathogens, and they rarely appear to get sick … UNTIL THEY GET A VACCINATION. The vaccine starts fighting every virus, bacteria, and bug they’ve ever had in their life, including dormant germs that they thought were killed a long time ago. Mr. Phillips continued by explaining that vaccinations were designed for perfectly healthy individuals, with perfectly intact immune systems, with no genetic mutations. However, as many of us are aware, in reality, this is virtually impossible because there are literally millions of genetic mutations and if a child has been vaccinated from day one with the hepatitis B vaccine, the chances are they no longer have an intact immune system. See Vaccines and Immune Suppression for more details. If vaccinations are prompting the bodies of children with the genetic markers for Ehlers-Danlos syndrome to develop the condition, could the same be said for Osteogenesis Imperfecta? I ask this because during research I discovered a paper titled Pediatrics in Tulsa & Eastern Oklahoma, written by Robert Kendall Endres, MD, in 2009. According to Dr. Endres, cases of the genetic condition Osteogenesis Imperfecta have risen at an alarming rate since the early part of the 20th century. In a paper written by Dr. Harold E. Buttram, MD; Susan Kreider, RN; and Alan R. Yurko titled Vaccines and Genetic Mutation, the authors explained that they have discovered evidence to suggest that genetic changes are being found in patients who have recently had adverse reactions to vaccines, and they are suggesting a causal link. What we do hope to establish from the work of these researchers is that it is both possible and plausible that subtle, widespread genetic changes may be taking place as a result of current childhood vaccine programs, possibly already affecting large portions of our children. The work of Urnovitz places a serious light on the implications of vaccines in bringing about genetic alterations. Our parents provide our genetic blueprints at birth, but this raw genetic material now appears to be malleable to environmental influences, including toxic chemicals and vaccines. Based on the foregoing information it is both possible and plausible that genetic translocations are taking place as a result of vaccines. Surely this is a credible cause for concern. Even if it is taking place, do we have the technology to identify it, and if not, do we have the time to await the slow processes of science to prove such a relationship? Studies from Africa, England, Sweden, and New Zealand have consistently shown a greater incidence of allergic problems such as asthma and eczema, along with increasing patterns of sickness, among fully vaccinated children as compared to those with limited or no vaccines. It seems inconceivable to us that health could be one thing and genetics another, or that these patterns of deteriorating health would not be accompanied by corresponding genetic changes. Could their work, along with the other papers that we have discussed, begin to explain why so many seemingly healthy children are developing potentially life-threatening genetic disorders rarely seen before the increased vaccination schedule? Although we cannot conclusively prove that vaccinations are causing children to develop these genetic disorders, it does seem to be extremely likely, especially when we consider that all these studies point to the fact that vaccinations are causing our genes to mutate and change. Surely all of our children should be screened for more of these conditions at birth, before they receive their first vaccinations. This may prevent vulnerable children who have genetic markers for these conditions from developing these potentially life-threatening genetic disorders after they have been vaccinated.